The wear and tear of an active lifestyle, compounded by the effects of aging, make it difficult to maintain healthy joint function. They may become less flexible and more painful. 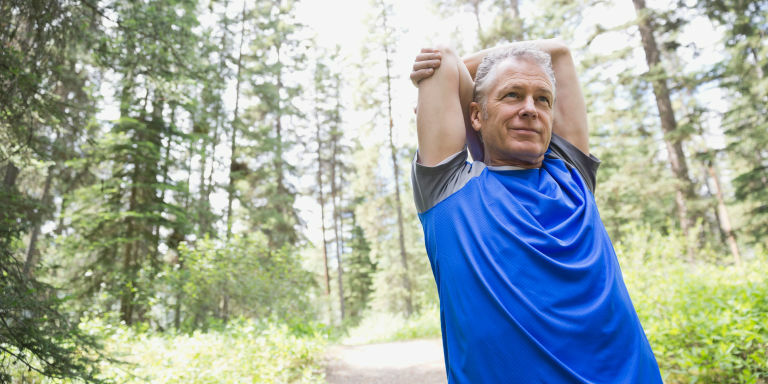 But continuing the right exercises combined with good nutrition can make a significant impact on your joint health — no matter what your age or activity level. Exercise is vital to maintain healthy joints. For those with joint pain, low-impact activities such as walking, swimming, tai chi and dancing are best. Strength training should also be incorporated in exercise since it helps strengthen the muscles surrounding the joints — protecting them from wear and tear. A balanced diet is also a key component of joint health. A diet rich in calcium and vitamin D can help maintain bone strength. Foods with high omega-3s also help keep your joints in tip-top shape. Patented A-affect/Arthaffect combines the best traditional Eastern herbal therapies with cutting-edge nutrients to provide nutritional support for your joints. The 7 grams of protein in each serve are from Arthred™ (Hydrolyzed Collagen) which contains the same amino acids that form the framework of human cartilage. This dual action formula includes Glucosamine, proven to be effective in protecting against joint deterioration and promoting healthy joint function along with a special herb blend including Turmeric, Celery Seed and Devils Claw. The product contains no fat, no cholesterol and is gluten free. Give your joints the nutritional support they need, order your A-affect/Arthaffect today!